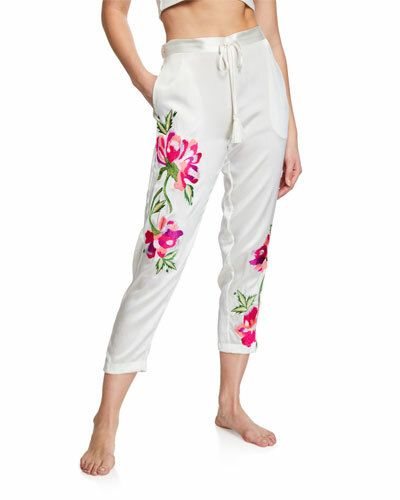 Josie Cruz Natori founded her line of luxury sleepwear and lingerie after a successful run in the finance industry that left her wanting more. She turned a blouse from her native Philippines, turned it into a luxe nighttime chemise, and the rest is history. Natori is now one of the foremost lingerie companies in the world, recognized with numerous honors both stateside and abroad. 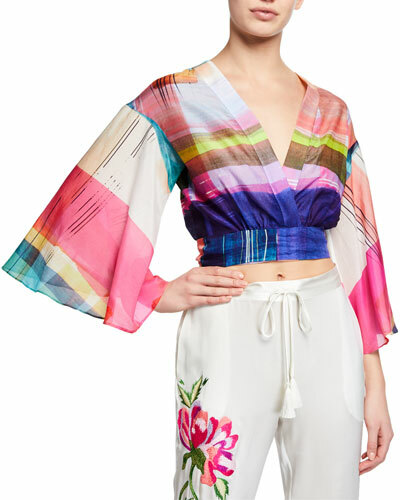 High-end lace and satin nightgowns, camisoles, lounge shorts, and robes comprise the Josie Natori collection, letting you unwind in style and luxury. 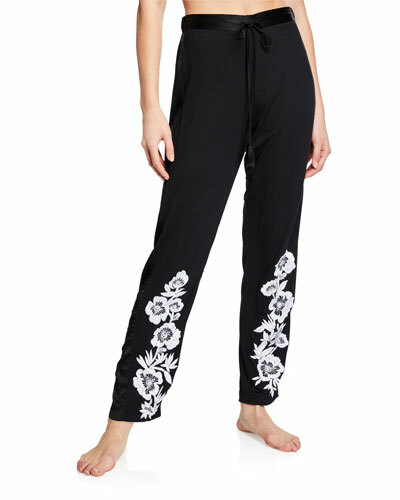 Shop a selection of sleepwear and lingerie by Josie Natori at Bergdorf Goodman. 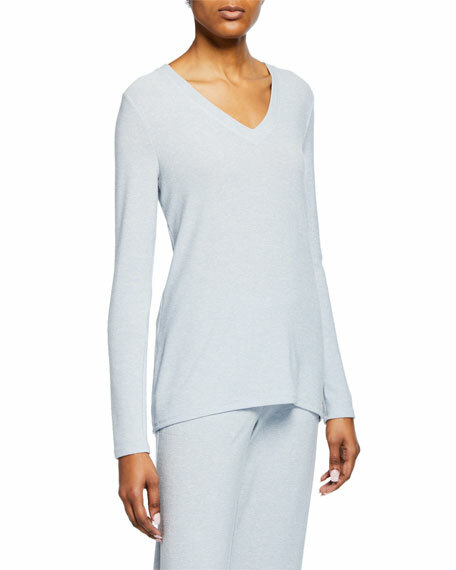 Natori "Ulla" lounge top. V neckline. Long sleeves. Semi-fitted silhouette. Straight hem. Rayon/polyester/spandex. Imported.